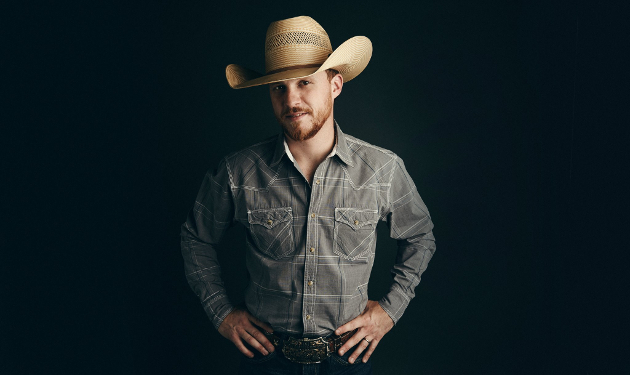 The incredible accolades and numbers just keep racking up for Texas country music artist Cody Johnson. After hitting #1 on the Billboard Country Albums chart with his recent album Ain’t Nothin To It, he rolled into Houston’s NRG Stadium on Friday night (3-15) for a performance on the star-shaped stage at the center of the building for a crowd of 73,009 that had assembled to see the native Texas singer from nearby Huntsville perform. This was one of the biggest crowds so far this Rodeo Houston season, and puts him past many of the massive mainstream stars who played the Rodeo this year. How does the Cody Johnson attendance stack up? Luke Bryan who played the Rodeo on February 28th drew 67,115, or nearly 6,000 less people than Cody. Tim McGraw drew 66,491, or over 6,500 less people than Cody. Zac Brown Band drew 69,570, or nearly 3,500 less people. Cody Johnson also just barely beat Chris Stapleton, who also drew impressive numbers, beating out most of the competition with a crowd of 72,011. The only country artist to beat Cody Johnson or Chris Stapleton was Kane Brown, with an assembled crowd of 75,122. Cody Johnson signed the deal to form Cojo Music/Warner Music Nashville in June of 2018. The deal meant Johnson was now part of one of the biggest label groups in country music, but still retained creative control under his long-standing, completely independent, and personally-owned record label Cojo Music. In the coming months, Cody Johnson assured his fans he would not change due to the deal. Along with his new record Ain’t Nothin To It hitting #1 on the Country Albums Chart, it also hit #1 on the all-genre Digital Album Sales chart, #2 on the all-genre Album Sales Chart, #9 on the all-genre Billboard 200. His current radio single “On My Way To You” sits at #16 on the charts. I wouldn’t put him up there with people like Cody Jinks, Stapleton, Brent Cobb, Jamey Johnson, but the dude has some pretty damn good songs. He’s kinda like George Strait for me, I love some songs and some are entirely forgettable. But this dude is helping out a lot in saving country music. Not helpful to put him down. Although I do agree that him covering “Long Haired Country Boy” doesn’t make sense. How do you know what Cody Johnson smokes in his free time? I was there last night boy. Put on one hell of a concert. Definitely will be seeing him soon again. I like him. Yeah, his stuff’s a bit slicker and more “modern” sounding than I prefer, but he’s got some good songs and he’s having success with real country music, which is no small achievement in 2019. Don’t see the issue with the Long Haired Country Boy thing personally – I assume he just does the song because he likes it. Music doesn’t always have to be taken literally, or did Johnny Cash really shoot a man in Reno just to watch him die? I don’t think his cover of the song is anything to be taken too seriously, the song is really more about a state of mind than actually having long hair and smoking dope while being a country boy. Still a strange cover for him to choose though. But yeah we seem to be on about the same page with this guy. I think his true appeal lies mostly with girls, the girl I’m talking to right now loves him. I’ll take Cody Jinks over Cody Johnson but I like both. Either way he’s helping our cause and that’s something to be happy about. I don’t think I like his music as much as I like him, the way he’s doing it and what he seems to represent. Cody Johnson is not only an amazing performer, he is a stand-up guy. He has stayed true to himself, his music, his fans, his family and most importantly his beliefs. To hear him thank the first responders and military in every show is incredible…but he goes a step further and thanks them for his freedom to do what he loves for a living and the freedom to publicly thank his Lord & Savior. That says something about Cody Johnson’s character. For me personally, knowing his values and character makes me truly appreciate the performer who’s music I already loved. Over the past 10 years, I have seen Cody Johnson perform in many different venues, from a local church, golf course and clubs all the way to the Houston Rodeo. I remember him playing a fundraiser at a local golf course in Magnolia and giving my young daughter his drumsticks. She is seventeen now and has been a fan ever since. Cody Johnson has earned it every step of the way. Even if his music is not your style, he is a prime example that hard work and persistance pays off. He is a successful country artist who worked hard to get where he is today, staying true to his values and beliefs. Cody Johnson is a role model for our youth today. During his performance last night, reminding kids to never give up on their goals and dreams – no matter how many times they are turned down or told no. He is living proof that it can be done. None of the rodeo performers this year are really all that intesting to me, except for Los Tigres Del Norte, who just beat out Cardi B for the all time attendance record. Out of this year’s performers, I’d also go to see George Strait, and it will be interesting to see what kind of numbers he pulls tomorrow. shes there selling tickets and trying to diversify the people going to the rodeo. I would bet over half the people there for that show would never go to a rodeo otherwise, so its a way to try to get a different group interested. I like his songs. I don’t know if the station I had one was doing just Texas music but they played a song by him called “Dance Her Away” – it was so good. Real country music is a hot commodity. I am not surprised by his success. Rodeo fans know the difference between fake country and real country music. Hopefully his success will help others as well! And then George Strait shows up to play for 80,108. Congratulations to Cody Johnson for his crowd of 73,009 at the Houston Rodeo. Not to take away from this accomplishment, but I’d like to point out that another type of “country” music broke all attendance records at the Houston Rodeo on March 10th when noteño group Los Tigres del Norte played in front of 75,586 fans. I bring this up here because Los Tigres del Norte play traditional norteño music, the accordion, bajo sexto based sound that can be traced back to recordings from the 1920’s and 30’s and further. The have only added electric bass, drums, and saxophone to that sound. Just like traditional country music they sing songs about, and for the working people. Songs that tell a story. Songs of life, love, work, corrupt politicians, and yes, migration. And they have awesome hard, country sounding duets. There is so much these two genres have in common. So here’s to Cody Johnson and to Los Tigres de Norte for keeping the sound and content of their music so traditional, and here’s to their fans who love their music not because it’s invented by some corporate sales force but because it speaks directly to them, as all good music should.